I provide many esoteric services for you on an a la Carte basis, for you to tap into only once or several times, however you feel you need to use them. I advise clients with an I Ching or Tarot reading to give insights beyond what is knowable just from the physical input of the five senses. You also have the option to avail yourself of the sage wisdom and support of Claire, my spirit guide, whom I channel regularly. Claire is the one who gives me information "out of the blue" that causes all your tiny little hairs to stand up when you hear them. Dream and omen analysis are available with full explanations of symbolism, archetypes, and esoteric information. If you wake up and remember a dream, fresh with vivid images and strong feelings, write down everything you can remember before you turn on the lights. Don't speak. It takes you out of the part of your brain where you dream. Draw pictures if you can. All of these things will be useful in our exploration of your dream's meaning. Past life regression and future life progressions are also available to you. This can be done live or virtually. You will meet your spirit guide to travel with on this journey and any future experiences you will have. I will email you an audio recording of your experience. Note: You do, have to be open to the knowing that all time exists at the same time in order for your conscious mind to be able to deal with the overlapping dimensions. For those of you who would like to know about the influence of the Zodiac in your life, I prepare full written explanations of where all your planets were when you where born - and what that means to you! There are many aspects to the astrological report, including an explanation of the Houses, what you have in each house, and how that affects your life too. I offer full family analyses too, with everyone's interaction analyzed and solutions for conflict revealed. Numerological analysis of the name you were given when you were born reveals what you're here for and how you're supposed to accomplish it, complete with an understanding of where you are in your life within your planes of expression. 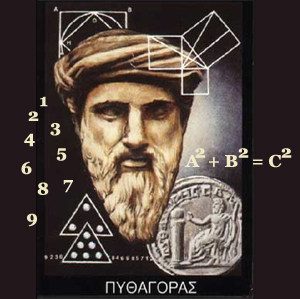 Numerology is an extremely ancient wisdom which comes to us by Pythagoras, who taught his students about the Music of the Spheres and the magical qualities of sound and numbers. In all of my reading and analysis services I focus on the good things in your life, relationships, career, support, health, and well-being. I do not seek to discover nor will I discuss impending death, doom, or disaster. I will, however, discuss past difficulties from which you have learned. I will also warn you of choices you must carefully attend to so that you can prepare yourself for challenges that may be arising from your decisions. It is often from our greatest challenges that our greatest opportunities arise. I will contribute all my attention on your greatest strengths and opportunities at all times. Finally, in the interest of the the legal details, the services and analyses I provide are given "for information and entertainment purposes only." Whether or not you choose to "believe" them is entirely up to you in your definition of your own reality. Applying the principal of the most ancient universal law - "As above, so below; as within, so without" - doctors can test just one drop of your blood and know what is going on with all your blood. Since the beginning of time, man has noticed that certain events linked to other events. You have noticed that if there is grafitti all over the front of a place, there is likely trash on the inside too. Likewise, have noticed that a really lovely restaurant often offers food prepared with wonderful consideration of details. If you have a light bulb explode when you turn on the light first thing in the morning, you will likely have an unexpected event occur during the day. Every day when you step outside and get on the road to go to work, you are stepping into unknown territory. Some is known, yes, but much of what will happen will be outside of what you knew that morning. To access information using divination, you must simply be open to the meaning in the message. YOU are the one who determines the meaning for you. I can give you possibilities which you may never have considered, but you will know - really - you will just know - when you know.